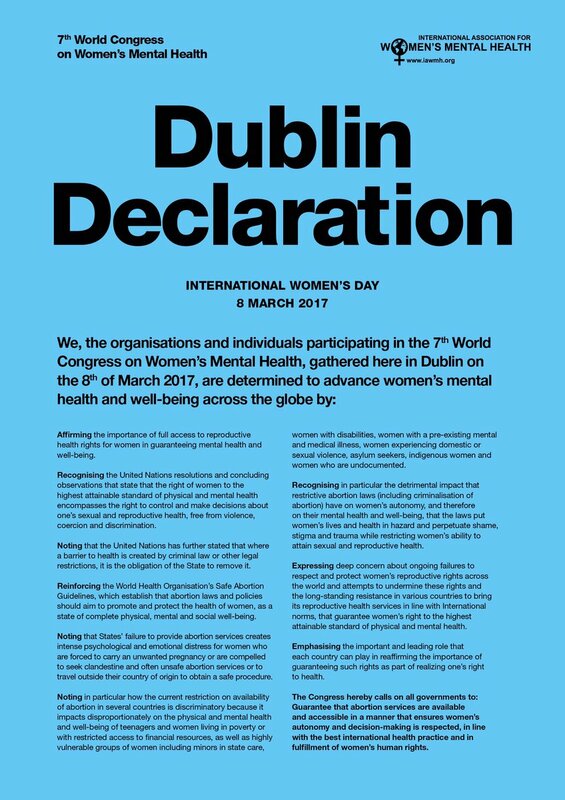 The morning's panel discussion ended with the reading of the "Dublin Declaration", a powerful call for governments worldwide to provide abortion services and recognise women's full reproductive rights. There was further solidarity all across the country in the tens of thousands who came out to Strike4Repeal, a powerful and timely call for the repeal of the eighth amendment of the constitution. In the Seanad chamber itself I had the opportunity to speak on the need for better pay and conditions for women workers, particularly women in hospitality industry. Lastly, I attended an important event to highlight domestic violence, an issue that will be debated in the Seanad in the coming weeks. Although we have come a long way towards gender equality in Ireland, it has never been clearer that inequality runs deep and is resistant to change. There is still much work to be done to ensure the full achievement of women's rights and justice for all who have faced abuse and neglect by the state.